Congratulations to the six 2016 SASSI Trailblazer Chefs! The awards event was held at The Table Bay Hotel at Cape Town’s V&A Waterfront on Monday 3rd October. The six new trailblazers are; Carl Van Rooyen of The Vineyard Hotel; Claire Blinkhorn-Street of Haute Cabriere; Leon Coetzee of The Kurland Hotel, Plettenberg Bay; Constantijn Hahndiek of Hartford House, KZN; Simon Ash of The Fat Fish Restaurant, Plettenberg Bay and Andrea Burgener of The Leopard Restaurant in Johannesburg. Yellowtail live in the cold Atlantic waters off the Cape. They gather in large shoals offshore, at depths of up to 110m. They are fast torpedo-shaped predatory fish that feed on smaller fish and squid. Most females only reach sexual maturity at 1.2m and most males at 900cm. It's important that anglers and fisheries ensure that smaller yellowtail are not removed from the ocean as they still need time to mature and reproduce. Yellowtail is currently listed as a green species by SASSI. Q. We see you’ve brought out a new menu. What are the main changes? A. We’ve added the SASSI logo throughout. Q. What is your best selling fish dish? A. The Mussels in the Cream Leak and Dill Sauce. Q. What does it mean to you to be a SASSI Trailblazer? A. It’s a humbling recognition of the effort that we go to as chefs and restauranteurs to ensure that we use sustainable marine products. Q. What is your message to other chefs? A. With the help of SASSI it only requires a little effort but we can all play a role in the sustainability of our marine life, protection of our oceans and the viability of related industries. NEWSFLASH! 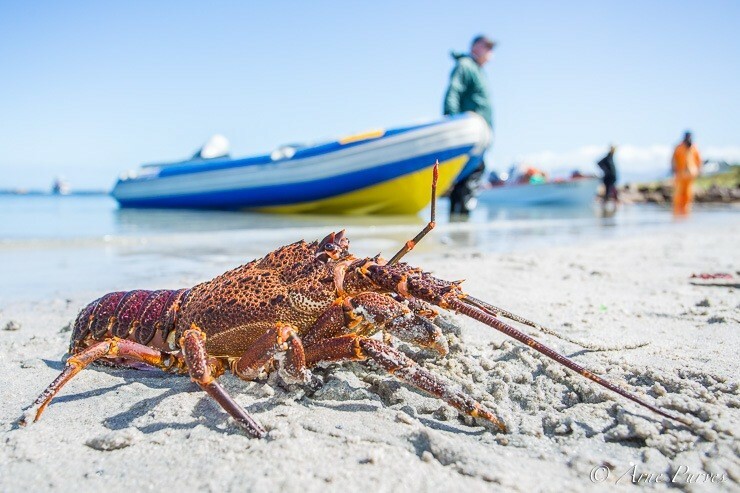 In shocking news, West Coast Rock Lobster is now at major risk and will be moved to the SASSI red list. This year Carpenter and slinger caught in the traditional linefishery moved from the orange list to the green list. First-time assessments of white mussel and Cape rock oysters hand-collected in KwaZulu-Natal resulted in a green listing. Horse mackerel caught in the midwater trawl fishery was downgraded from the green list to orange list, due to uncertainty regarding its stock status and concerns around the management of the fishery. Cape rock oysters caught along our South Coast received an orange listing, reflecting concerns surrounding its stock status. Congratulations to Head Chef & 2016 SASSI Trailblazer Constantijn Hahndiek from Hartford House for getting nominated for this year's Eat Out Awards!